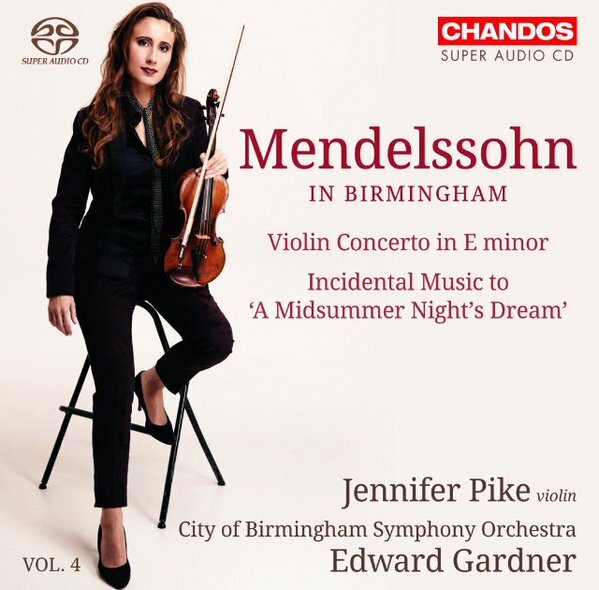 I’m tempted to have an open-hearted rave-up about the latest disc (Volume Four) in Chandos’ Mendelssohn in Birmingham series… There is no concerto more-loved than Mendelssohn’s Violin Concerto. It is one of the most-familiar of early Romantic Violin Concertos, multiply-recorded and staple fare in the repertoire. It is so familiar it has become almost hackneyed. Edward Gardner and Jennifer Pike have given it a re-think and complete re-fit… I felt I was hearing it for the first time. Pike’s playing sings the concerto: it is breathtakingly beautiful, and the sophistication of orchestral thinking and playing is out of this world. Superb new recording….Pike’s lyrical performance clearly demonstrates that she has been performing this piece for many years. Her phrasing shows she knows this work inside out and has discovered all of its ethereal subtlety and beauty. Jennifer Pike’s interpretation is dramatic, passionate and always nuanced….This performance is certain to become one of the great standard recordings. Jennifer Pike allies the luminous beauty of her tone to her innate musicality and mercurial technique to produce an exceptionally lyrical interpretation of the evergreen Violin Concerto in E minor. 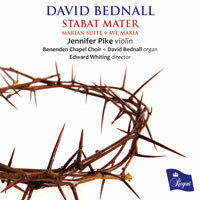 The violin’s sense of rhapsodic lament – played with passionate intensity by the superb Jennifer Pike.